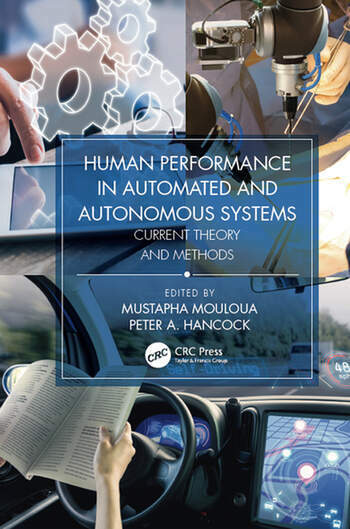 This two-volume set highlights human factors and engineering concerns across real-world applications, concerning emerging issues and practical perspective about human performance with automated and autonomous systems. 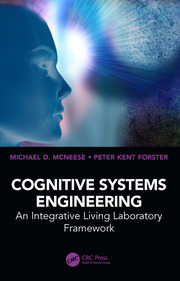 It covers current theories and methods, alongside emerging practical challenges. The books are suitable for those approaching the issue to those well-versed in these fast-moving areas. Book 1: Part I: Theoretical Perspectives on Human Performance in Automated and Autonomous Systems. 1. To Autonomy and Beyond. 2. Informed Design for Wearable Interfaces: Application of Resource Theories of Attention. 3. Vigilance and Workload in Automated Systems. 4. Expertise, Learning, and Autonomous Systems. 5. Humans and Automated Decision Aids: A Match Made in Heaven? 6. Human Robot Interaction: Current Research and Trends. 7. The Quest for Alternatives to "Levels" of Automation and Task "Allocation". 8. Human-Automation Interaction: Levels of Automation. 9. Why Representations Matter? Supporting Productive Thinking. Part II: Methods and Applications. 10. Cockpit Automation: From Individual Pilot to Multiple Agents. 11. Workload and Stress of Vigilance in Autonomous Systems. 12. Adaptive Automation in Aviation Systems. 13. Help me out here: Automation Aids for Visual Search in Operational Environments. 14. Motor Performance Assessment and its Implication for Display and Control Systems. 15. Situation Awareness in Automated and Autonomous Systems. Book 2: Part I: Human-Automation Interaction in Aviation Systems. 1. A Paradox of Automation for Safety in Highly Automated Vehicles. 2. The Role of Automation in General Aviation Pilots’ Performance in Meteorological Situations. Part II: Design Principles and Guidelines for Autonomous Driving Cars. 3. Automation in Automobiles. 4. 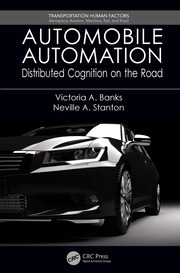 Facilitating Attention Management in Highly Autonomous Driving. 5. Automated Driving System HMI Design and Evaluation. 6. Assessment of Stress and Fatigue in Autonomous Driving. Part III: Automation in Health Care Systems. 7. Automation Issues in Medical Systems. 8. Team Performance in Medical Systems. 9. The Impact of Technology on Patient Safety in Healthcare. Part IV: Automation and Team Performance in Operational Environments. 10. Human-Autonomy Teaming in Aviation. 11. Synthetic Task Environments for Evaluating Human-Autonomy Teams. 12. Team Performance in Automated Systems. 13. Research Considerations for Studying Automation in Military Settings. 14. Human-Robot Interactions in Operational Environments. 15. Organizational and Safety Factors in Automated Systems. Part V:Homeland Security and Cyber Security. 16. Hacking the Human: The Prevalence Paradox in Cybersecurity. 17. Toward Robust Models of Trust and Situation Awareness in Cyber Security. 18. 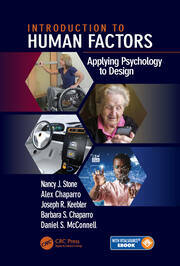 The Role of Human Factors/Ergonomics in the Science of Cyber Security.